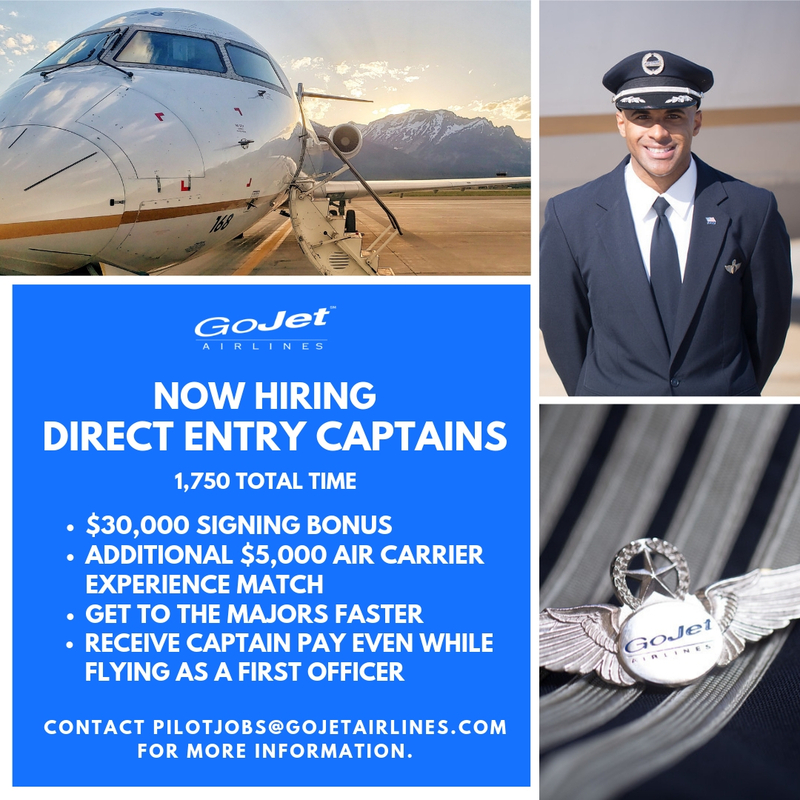 GoJet Airlines is now hiring Direct Entry Captains for immediate class dates. Apply now with only a 1750 Total Time requirement and 1000 hrs of air carrier experience. Send us your Airline App today!